discontinue use and consult your physician. 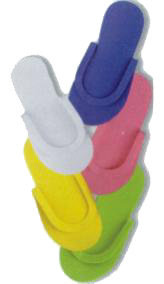 * Designed to cleanse, soften, & prepare feet prior to any foot care service. * Safely removes rough, dry skin. * The Choice of Professionals. * Gently smooth away rough, dry surface skin. * This non-abrasive lotion leaves skin soft, silky, cool and refreshed. * Textured basin helps relieve tired feet. * Durable Plastic Tub Liners which could be thrown out after every customer, thus limiting the chance of spreading bacterial, fungal, and viral diseases. * Comes with complimentary pedicure tub and 5 disposable liners to start. 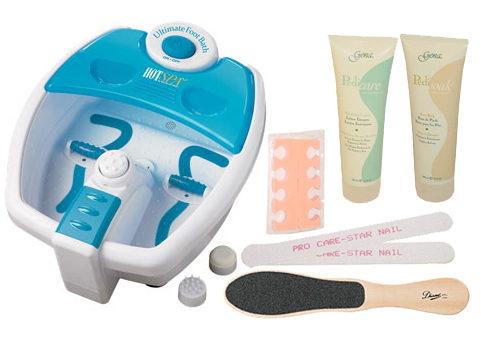 BELAVA® Pedicure System is compact, modern and one of the most versatile pedicure systems available. 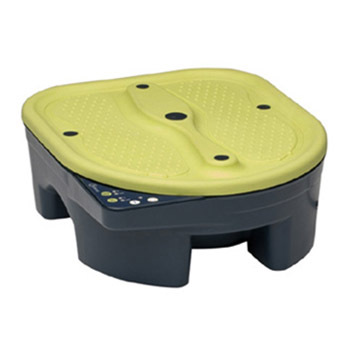 It is a sanitary alternative to costly pedicure thrones - no plumbing or installation required. 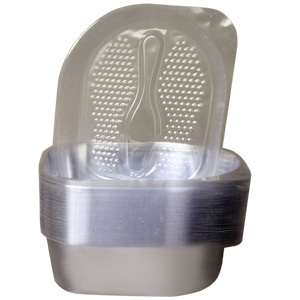 Use it to offer a dry foot massage, or combine with the tub for luxurious foot soak. 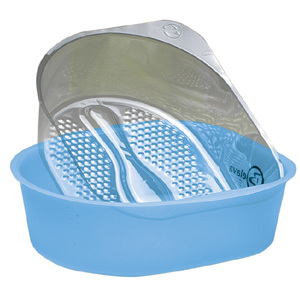 Equipped with 3 levels of relaxing vibration and 3 levels of soothing heat that will keep the water warm. 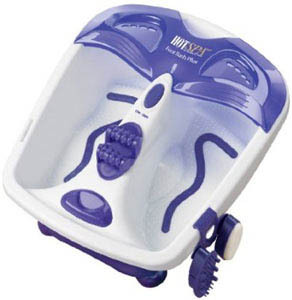 It ensures sanitary, worry-free pedicure treatment with spa-like comfort. 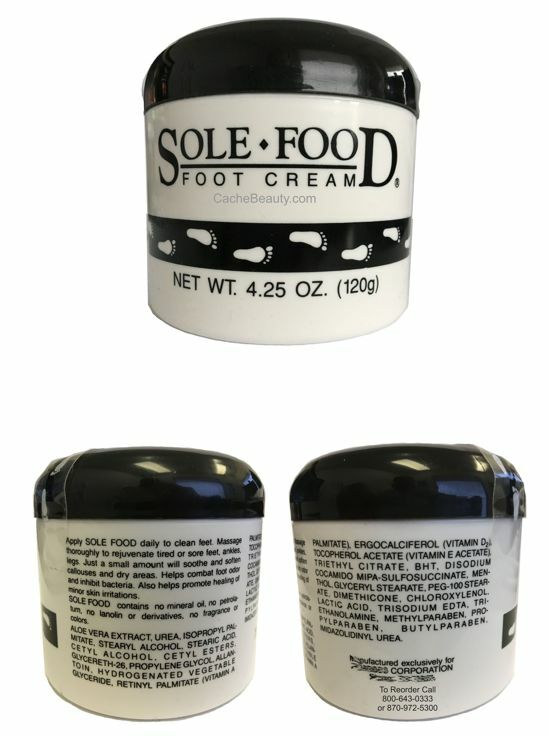 Sole Food is the perfect product for pampering your feet. Developed by a leading cosmetic chemist, all ingredients work together to provide the ultimate foot care. Sole Food is the only non-greasy product on the market that allows for an extended massage time. You can massage for 15 minutes or more without adding additional product, and it never becomes sticky or tacky. It leaves a moist feeling to the skin, but never greasy or oily. And just a very small amount is necessary to be effective. Sole Food contains skin softeners. The very first thing you experience is the elimination of dry skin. 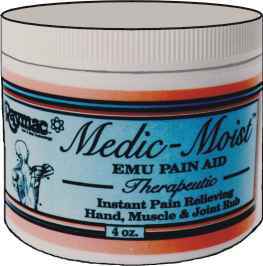 It softens callouses and cuticles. Sole Food contains skin protectorants. 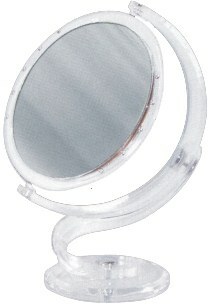 Not only does it protect against moisture loss from the skin, it protects against moisture harming the skin externally. Sole Food contains a deodorant, so no more stinky feet. Great for anyone with a foot odor problem. It also contains an anti-fungal, and consistent use can aid in the prevention of athlete's foot and other foot problems. Sole Food has ingredients to help heal minor skin irritations, cuts, and abrasions. It is effective on nicks, scrapes, insect bites, sun burn, per irritations, etc. Many podiatrists recommend Sole Food because of the effectiveness of its ingredients. And just as important as the ingredients in the products are the ingredients not in the product. 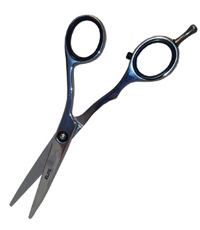 There is no mineral oil, no petrolatum, no lanolin or lanolin derivatives, and no fragrance or color. The only odor you will detect is a little menthol, and that quickly disappears. The product smells clean, not offensive. CALIFORNIA RESIDENTS: Sole Food is not registered with the State of California and as such, may no longer be purchased by California residents. 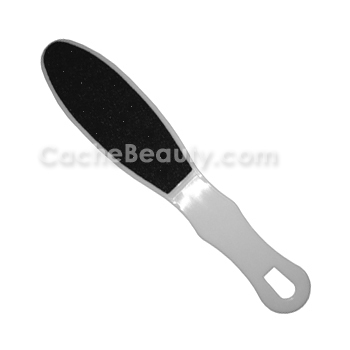 Anatomic Nickel Nail File & Buffer. This complete foot care set includes two files of different grades (one medium, one coarse), suiting all family! From now on, say good-bye to messy, time-consuming skin soaking, and say hello to quick and easy, ever beautiful feet! 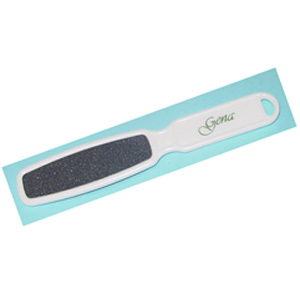 It's State-of-the-art nickel abrasive surface safely an gently smoothes away hard, rough skin and calluses for an unsurpassable smooth pedicure. 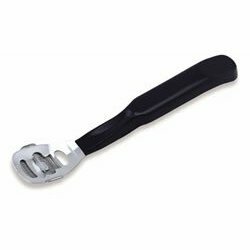 It'll not take away healthy skin, making calluses grow back slower and softer overtime. 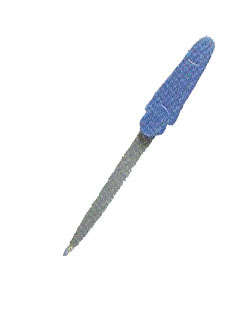 It's easy to grip handle and thin curved head lets you file even hard-to-reach areas. For critical calluses and severely cracked heels. Lets talk about convenience! Finally there is no need for time consuming, messy feet soaking! 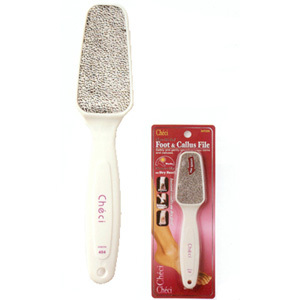 Checi nickel foot files are specially designed to work on dry skin, enabling you to have beautiful feet at all times! Light-weight, Checi nickel files can be taken everywhere. They will not come apart, and will last and last! 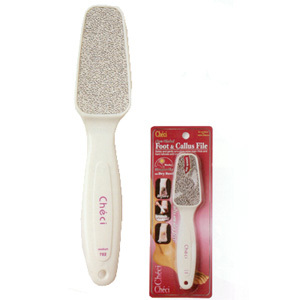 CH-404 is a coarse grade file for critical calluses and severely cracked heels. For even better results, finish your pedicure with CH-702. 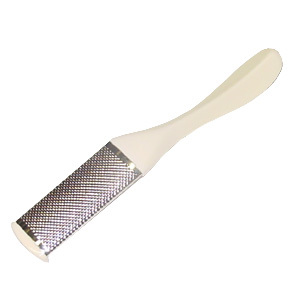 Gently reduces calluses and safely smoothes rough, dry skin. 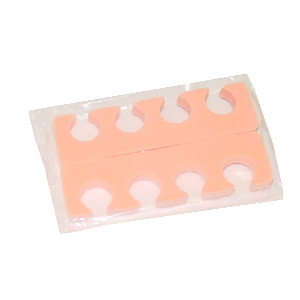 2 foam cushion separators in each package.